Häfele has just introduced a new service called ToPCo which translates to Top Comfort for customers. To provide full solutions to customers, Häfele is proudly showcasing laminates from world-known partners as Greenlam and TZ from Austria. 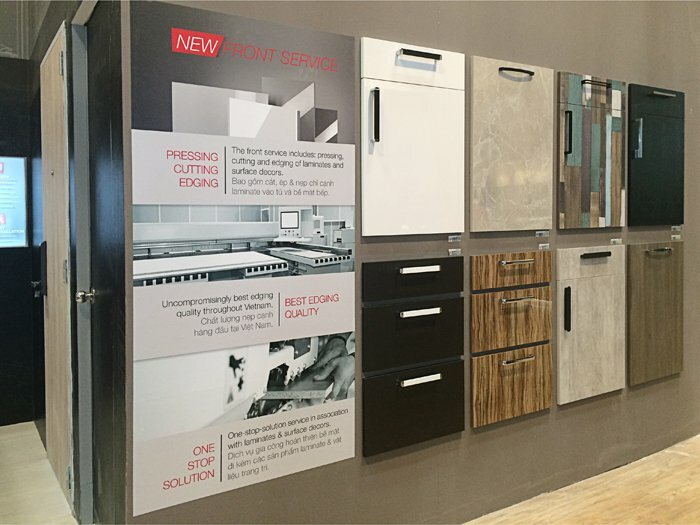 Besides that, not only can Häfele offer laminates to finish off furniture with latest design trends from Europe, but with new service of pressing, cutting and edging laminates to cabinet and kitchen fronts, customers can enjoy the one-stop-solution service provided by Häfele. European designs combined with the best edging quality throughout Vietnam make this new service a value-add when choosing Häfele. Let’s discover our new service!